John comes to Finance of America Mortgage from iMortgage, where he was the Branch Manager for the Newport Beach and Laguna Hills branches. Prior to imortgage, John worked for MetLife Home Loans, in which he was the Orange County Area Director for Retail. Prior to MetLife Home Loans, John spent 8 years at IndyMac, as a SVP, overseeing Sales Support channels to include; Homebuilder Mortgage, Customer Alliance for Preferred Sellers (CAPS), National Accounts, Brand Management, Reverse Mortgage and Strategic Alliances. Prior to Indymac, John spent 5 years with Wells Fargo/Norwest Mortgage, as a Regional Builder Sales Manager and the Director of the ABA (Affiliated Business Arrangement) Group, creating joint ventures between homebuilders/realtors/financial advisors and Wells Fargo to put them in the mortgage business. Prior to Wells Fargo, John spent 5 years as Treasurer and Controller for Pioneer Savings and Loan and the Spring Mountain Group. 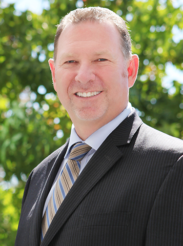 John got his start in the mortgage banking industry out of college, working his way up to AVP of Loan Accounting for Mission Viejo National Bank beginning in 1986. Educational Background, Professional Affiliations and Personal: John has a B.A. degree in Political Science from Cal State University at Fullerton. John has been married to Dana for 21 years and has three boys, 19, 16 and 15, who are very active in Football, Baseball and Swimming.